“web development” usually refers to the main non-design aspects of building web sites: writing markup and coding. Web development can range from developing the simplest static single page of plain text to the most complex web-based internet applications, electronic businesses, or social network services. All of our work includes aspects of these technologies, more advanced Websites will include significantly more of these elements than a simple brochure site. All quotations for web development are on an individual basis as it is very difficult to give a guide to web development projects as the differences between projects can be vast. 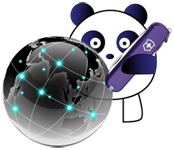 We do however offer a discount on upgrades to your website, If you are an existing customer to PurplePanda in the last twelve months. Or if you have an existing web site and own the component files that comprise your site.